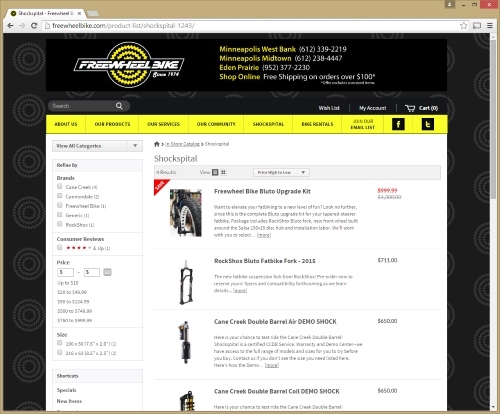 Our online catalog and payment processing are hosted by Freewheel Bike. Check out their ecommerce site. Copyright © 2019 Freewheel Bike, Inc.